I loved this sequel to 84 Ribbons. After her injury Marta returns home. At first she just hangs out around the house, most days in her robe. She still has an issue with diet pills. Steve has been a big support throughout this whole thing. He is still supportive when she makes a mistake that could ruin their relationship. Marta’s biggest issue is trying to figure out what she wants to do with her life. Before the accident she thought she had her whole life mapped out before her. Now she is so confused. What starts out as helping her mother at the dance studio, turns into so much more? Will this be what it takes for her to straighten out her life? When she meets the parent of one of her students she feels conflicted. Will she still stay with Steve, or will her life take her down a different path? At times I felt annoyed at her indecision. I think I felt that way because I am a person who has a difficult time making decisions. Once I’ve made the decision the commitment is there 110%. I know this is how Marta felt. 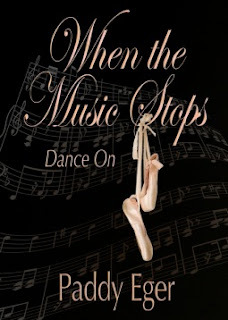 I really enjoyed this book and would recommend it to those who love the world of dance or love to read about the world of dance. This book didn’t focus on Marta’s dance so much as her dance with life changes. An excellent book.